I finally reached the mileage where I needed to do this. I took a lot of pictures since it seems like people are always doing this one and are always having questions. Anyways, I hope it helps some of you all out. Let me know if anythings wrong with the writeup, it's quite long so there's lots of room for errors. That's cool, i gotta do this soon. One thing to note, the sensor connector can be released by pushing the wire clip in. I discovered this recently. LOL. I used to move it out and some time it pops off and i loose them too. Having done this for an auto your write up is first rate and should be stickied for other members. Very good write. 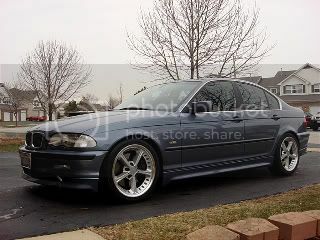 Just did all of that to my father in laws 2001 325xi this past weekend. Had to replace the thermostat under the expansion tank as well. 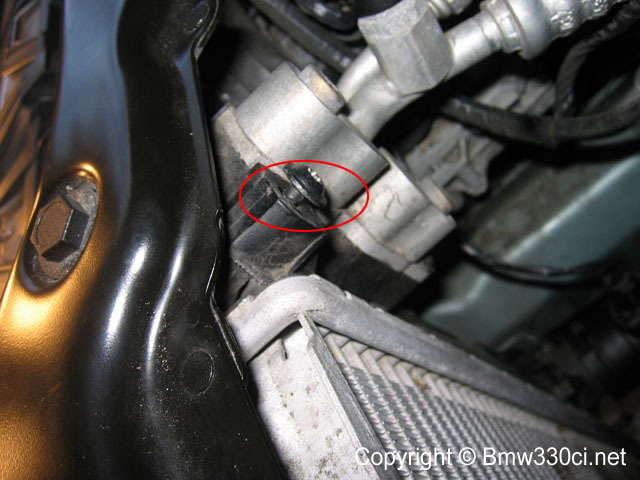 And found that its a must to replace the temperature sensor with the lower hose, if not it will leak like hell. Also, for Automatics...is the process much different or more difficult? If so can you explain in greater detail. I can't seem to find any articles on cooling system overhaul for just autos. Everyone should do this. It's not that difficult either! You will need a fan clutch tool. Unlike the manuals, that have an electric fan automatics have a mechanical fan. This means you need a special tool and the process is different to remove it. I also have heard that the 32mm nut on there is reverse threaded so be careful. Maybe someone who has done an automatic can share a little bit better. Besides the mechanical fan I believe the rest of the process is almost exactly the same. a big thank you for the DIY cooling system overhaul writeup! here are a few notes from my experience this morning. 1. lower radiator hose removal ... a huge pain in the a$$! there is little to no room for leverage ... just keep pulling and eventually, after about 10 minutes for me, it will finally break free from the radiator. 2. expansion tank removal ... another big pain in the a$$! follow the recommendation in this DIY by using a socket with an extension and then pound the crap out of it from the bottom up. again, takes time but it will break free. keep your mouth closed while you're doing this unless you want a little coolant as a refreshing drink. mods? ... shocks, pegs ... lucky! Thanks for the great write up. I just noticed a crack on my expansion tank at 76k miles and will be doing the whole cooling system overhaul this weekend or next and hopefully everything works out. For the fan you will need tools that hold the pulley and righty loosy the nut with thin 36mm. Just one blow clockwise and it will loosen up. The lower radiator. It took me 4 hours until I figured it out. 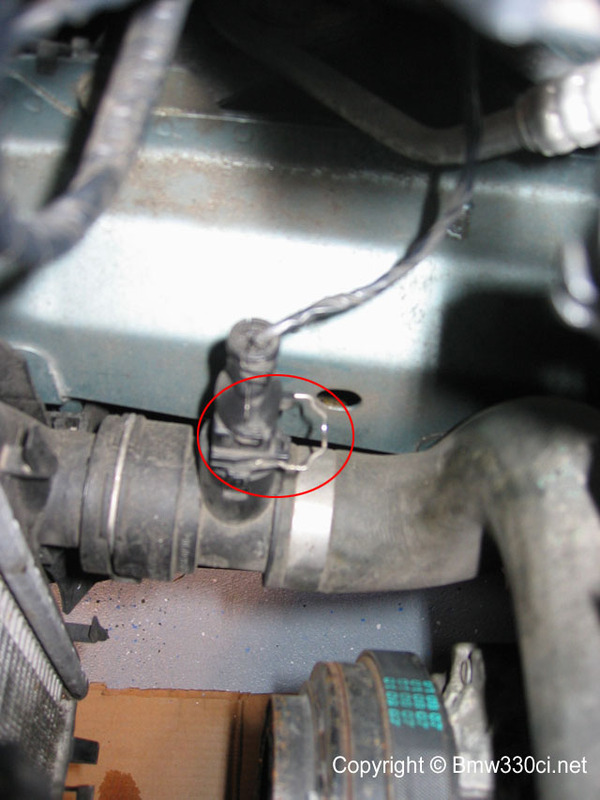 I cut the hose then cut the outer plastic end part of the hose but be careful not to go all the way and messed up the radiator ****. I did 3 vertical indentation to the plastic and then just pry it with your screw driver. It was so easy. If you cannot pull the expansion tank, place your jack underneath the exp tank and have some wood (i used my rubber mallet) for extension and jack and jack it for few inches and release the jack, wella you loosen up the exp tank and just pull it. I, for one, would like to say that even if you have a high mileage car, if things don't need replacing, I don't think they need to be replaced. Sure, things like the water pump which have a bad reputation and are hard to inspect might be a very good idea--I upgraded to a Stewart pump myself based on just that concern. But hoses, for example, you should be able to manually inspect for wear and age. If they're fine, there really isn't any point in replacing them. When the thermostat goes bad, you'll know about it, just stay on top of inspecting your car and reading codes regularly and I think you can save a lot of money by not replacing perfectly good parts. Just my two cents! That said, good writeup, thanks! I'm a big fan of your site. Thank you!!! I did the water pump a year ago and just recently bought all the other parts. Your timing is fantastic. After 4 and half hours I finally just finished replacing my expansion tank, water pump, thermostat and hoses as well as lower hose temp sensor and fluid level sensor under the exp tank. Now the low coolant indicator light is on the dash. I put back the old fluid level sensor and the dash light is still on, coolant level is full. I bled the system for air, the heat is working fine in the car. Has anybody have any ideas what is wrong? Thanks. Good point. If it's impossible to reach without taking everything apart and you're already in there, might as well if you're not sure.